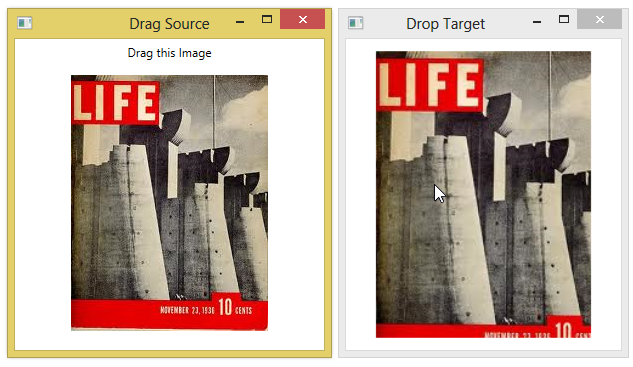 You can use drag and drop functionality in WPF to drag an image from one application to another. In the drag source, you create a DataObject with a bitmap format. (Click here for ImageToBitmap source code). In the drop target (the application where you want to drop the image), you just set the Source property of an existing Image control to the data obtained from the GetData method.